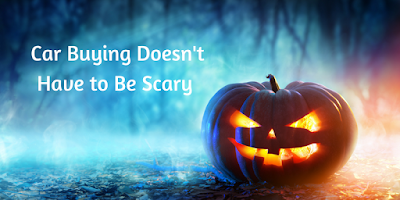 Does the car buying process make you feel spooked? Don't worry; car buying doesn't have to be scary, especially when you shop at Autoland in Springfield, NJ. Ease your fright and fears with our car buying tips. Prior to going to new and used car dealerships in NJ, decide what you need and want in your next vehicle. Make a list of the costs you'll incur from purchasing and owning the car, including the down payment, monthly payments and interest, gas, maintenance and repairs, and insurance. Before you buy, find out what your insurance rate would be for the car you're interested in buying. At the same time, assess your personal finances to determine the amount you can afford to spend on a car and all the associated expenses. Once you've established your budget, decide the features you need and prefer the car to have. Make a list of the features you absolutely need, as well as a wish list for items you would like but could do without. Then search online to come up with a list of vehicles that meet your criteria and satisfy your budget. Refer to car buying guides like Kelly Blue Book and Edmunds to better understand the values of the different cars. By knowing what you're shopping for, you'll feel less overwhelmed when you hit the lot and actually leave with what you came for. Depending on your budget, consider both new and used cars as viable options. If you want a new car that fits into your budget, buy a slightly used one. The value of a new car depreciates once it leaves the lot, so you can save some money by purchasing a pre-owned vehicle with low miles. But, if you are planning on keeping the car for the long haul, then purchasing new can be a good investment and more realistic option. Have an open mind; look at new and used vehicles, and calculate the price and ROI before making a purchase. While you may find a cheap used car being marketed by a private seller, this type of sale can be very risky. Private sellers are not legally required to abide by the same laws and regulations as NJ Toyota dealers , so you risk getting scammed. Not to mention, car dealers have trained technicians that do a full inspection on pre-owned vehicles before they hit the lot, as well as offer warranties and protection plans for further vehicle protection. When looking at cars, consider the purchase price. Don't be swayed by a low monthly payment. While an affordable monthly payment is important, you need to look at the actual purchase price when buying a car. A lower payment extended over a 72-month repayment cycle will cost you more in the long run, so be sure to do the math. Also factor in any extra and hidden costs, such as vehicle preparation, delivery fees, and taxes. The test drive is one of the most important parts of car shopping. You can read all you want about a car on paper, but the test drive is the only way to experience how it rides and assess its comfort and compatibility with your needs. As the potential owner, you should be the one to test drive the car. Don’t just go for a ride along with the dealer. If possible, have a partner or close friend come with you, so they can their ears and eyes peeled for things you may not notice. See how the car feels while idling, accelerating, decelerating, stopping, and turning, and also test it at both slow and fast speeds and on the various road conditions. Don't let the car buying process spook you. For a pleasant car buying experience, follow these tips. To find your ideal vehicle at the best price, come by our new and used car dealership at Route 22 in Springfield, NJ. We look forward to connecting you to the perfect car for your needs, preferences, and budget.